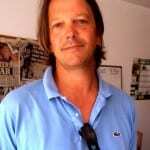 Home Blogs Richard Alexander: FATCA…You what?! FROM time to time, you may have seen references to FATCA in the national press and the plans for its introduction in 2014 but what is it and how might it affect you? This is US legislation in the form of the Foreign Account Tax Compliance Act which was first talked about over three years ago and when it was first muted, most reactions were that it was totally impractical and would not stand a chance of working. However, that view has radically changed; so what is FATCA exactly? In basic terms it is a requirement being placed on financial institutions to provide tax information on a cross border basis as it relates to US tax payers. A US National or Green Card holder has to report and pay tax in the US on their world wide income and gains, even if they are not actually resident in the US. It is therefore intended to be the enforcement of collecting taxes due on all investments wherever they are held, even for those relevant people who have moved overseas. Millions of dollars have been spent so far in preparing for the introduction of the new legislation and whilst this has been delayed until January 1 2015, the reporting will be in respect of the 2014 tax year, so the clock has started ticking. So you think you are not affected by FATCA if you are neither a US National nor Green Card holder – think again! We have effectively seen a domino effect as more and more countries have bought in to the concept of cross border tax information sharing. Despite the initial cynicism, the success of FATCA has rubbed off on other countries, most notably perhaps, the UK, which has already concluded similar agreements with its Crown Dependencies and British Overseas Territories. Furthermore, since the last G20 meeting when the OECD announced the concept of a multilateral exchange of information agreement, over 60 countries have confirmed their willingness to take part in a pilot scheme, so the momentum is gathering pace worldwide. You may be wondering what the downside is if an institution or country refuses to comply with FATCA – the result would be a withholding tax of 30% on any amount received from or passing through the US but what is more likely, is a refusal by others to deal at-all post implementation. This is the shape of the new world we live in but it is fair to say that for the vast majority of people, there is nothing to fear. If your money is invested soundly and you declare your income and gains in your country of tax residence, then the sharing of tax information will have no effect on you. For those who have chosen to try to ‘stay under the radar’ the time may well be coming when that strategy comes back to bite them, particularly for those who are Spanish tax resident and need to consider their 720 filing of overseas assets information which needs to be completed by March 31 this year. Next articleBarcelona brewery…gee, mine’s a double! If, like me, you have no wealth to worry about, this is still an offensive change in tax events. If you do have wealth to secure, base yourself in Belize, who do adher to USA tax laws (FATCA) but have an interesting detail, they do not tax ‘consultancy’ fees issued by St Vincent & Grenadines companies… and St V & G have NO TAX TREATIES with anyone, and refuse to provide ANY tax data on ANYONES accounts… so it’s a mix of accounts, with the wealthy person using the St V & G account (debit card) to cash out anywhere in the world…. Of course if you have no cash, it’s not a problem, but folks who do have cash will ALWAYS find a way around intrusive snooping laws.